Here is a calendar of upcoming pet-friendly events happening in Omaha brought to you by our friends at Ralston Arena. We gather this information from a variety of sources, so it is always best to call around, visit Web sites, and make sure events are still on before heading out to enjoy the town with your pet friends. Want to promote your event? Give us a shout through the contact form located at the top of our main homepage and give as many details as possible, including a link to the Facebook event page, your digital flyer, and dates/times/locations. Click here for details and see the flyer below! 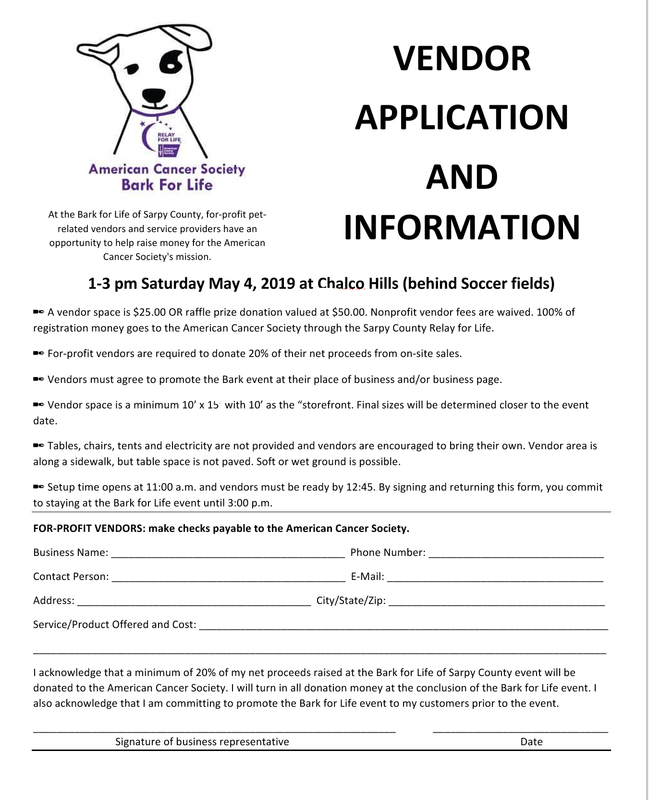 On May 4, 2019, the annual Bark for Life event will be hosted at Chalco Hills (just southwest of 144th and Giles Rd.). Along with participants to join in on the non-competitive walk, the event is looking for sponsors and vendors; applications can be found below. Bark for Life is an event that raises money and awareness for canine cancer research. For more information, visit the Bark for Life website here. This year’s Tails ‘n Trails event features a half Marathon, 10k, 5k and 1 mile walk and they will be held on May 18, 2019, at Chalco Hills. 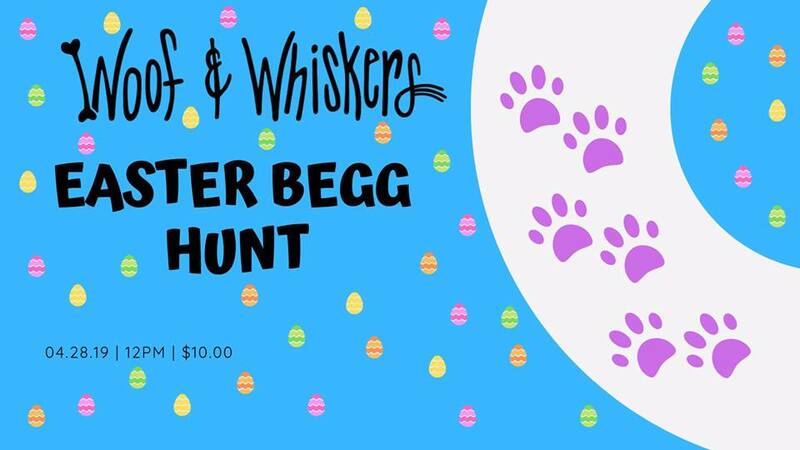 The event donates all proceeds to three local animal rescues (Pug Partners, Muddy Paws, and Hands, Hearts & Paws) and the run/walk is dog-friendly! The event’s website is tailsntrailsomaha.com (visit for more information on volunteering or participating) and the event is in its fifth year. More information will be available here as it is available and is also on this Facebook page. More information coming soon! 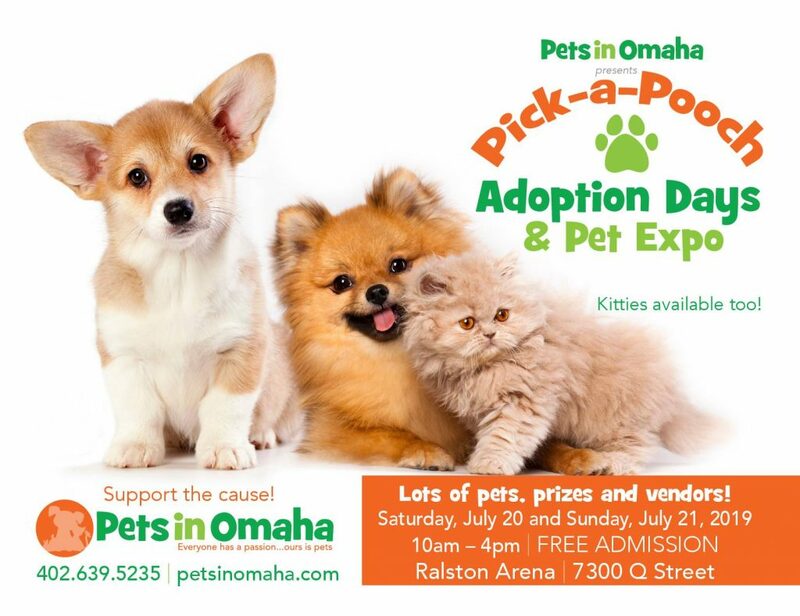 Check out our Facebook event page for updates and stay tuned to petsinomaha.com! 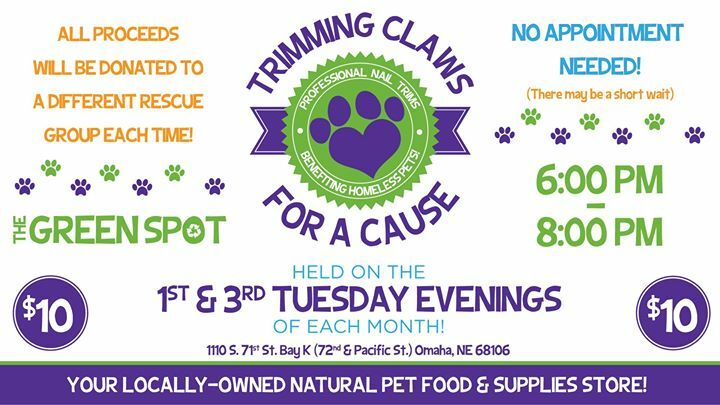 Trimming Claws for a Cause – Every 1st and 3rd Tuesday at The Green Spot Omaha! 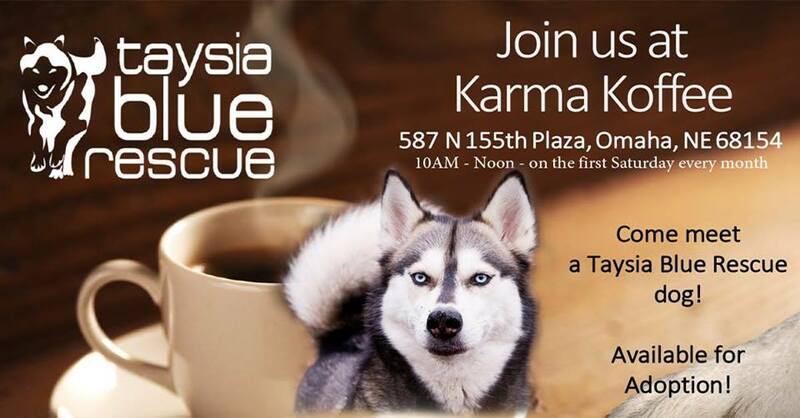 On the first Saturday of every month, Taysia Blue will have its “Dog of the Month” at Karma Coffee! Meet the pup, talk to rescue volunteers, and have a cup of joe! Click here for more information. GRRIN is one of the most popular rescues around and is active all year with events like its signature Gold Rush fundraiser, meet and greets, and expos like Pets in Omaha’s Pick-a-Pooch Adoption Days. To see what’s going on with GRRIN, click here. The NHS has weekly, monthly and special events happening all year long! Click here to find a calendar of events from NHS and be sure to check out the NHS Spotlight page on Pets in Omaha for special coverage of events, news and feature stories involving the shelter! 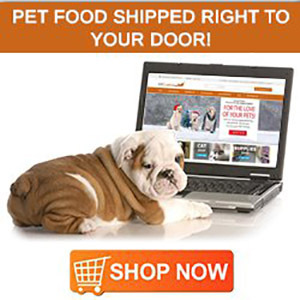 Are you tired of your dog being out of control? Does your dog not listen? Does he jump on guests, bite, mouth or pull you down the street on walks? Have you recently adopted a new dog? If you have answered yes, or have been looking for answers to your dog’s behavioral issues, you are in luck. Workshops from Kelley McAtee and Dharma Dog Training that will help you and your new dogs adjust to each other. Dharma Dog Basics/New Adopter Training Workshops are aimed at enhancing the new partnerships between humans and dogs for a healthy, balanced and well-behaved life together. Throughout the year, The Green Spot will host a number of events including seminars, many how-to series, meetings, fundraisers and more. The Green Spot’s Event page is chock full of events and you can visit them here.. Throughout the year, Pug Partners hosts meet and greets, fundraisers, and other events you’ll want to enjoy with them! If you’re looking to adopt a pug or support those who rescue them, see PPoN’s event calendar here. Heartland German Shepherd Rescue’s events are held all over the city, all year round. Click here to find their event calendar! Check out Dogtopia’s Facebook page here for various events throughout the year! Events from Long Dog Fat Cat! Join Long Dog Fat Cat for meetups, parties, fundraisers and whatever else it’s celebrating! Events can be found on its Facebook page by clicking here. Woof and Whiskers opened in November of 2017, is a great friend to shelters and rescues, and would love to see you drop in! Click here to find out what’s happening at the store through its Facebook events page. Find area events from Beer Paws by seeing its Facebook event page. Click here for the calendar. 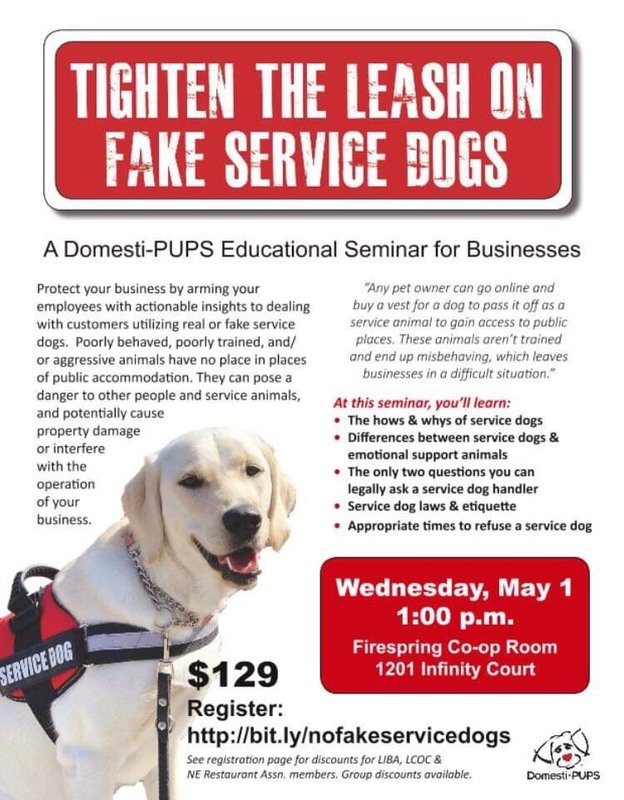 Click here to find out how to meet service dogs and learn about Domesti-PUPS at the organization’s events! Pets Earth hosts many meet and greets with local rescue groups. For more on those gatherings and everything else that’s happening at Pets Earth, click here. Wondering when the next meeting or event from the Nebraska Rescue Council is happening? Click here! Paws to Angels is often out in the community, educating people on how to cope with the loss of a pet. Find out where Cherie will be by clicking here. Check out the busy calendar of Nebraska Dachshund Rescue here. Events happen all the time, so check back often! Bark Avenue’s event calendar can be found by clicking here. 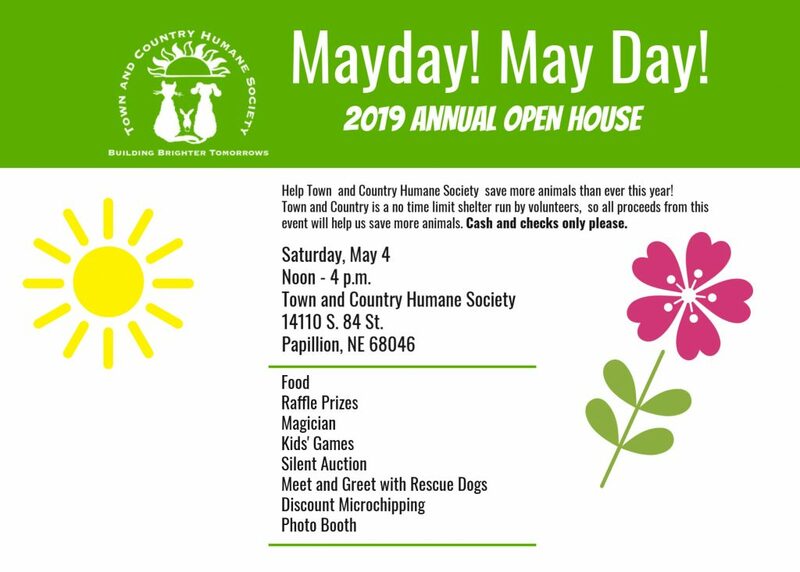 Town and Country Humane Society hosts a number of events throughout the year. Find out how you can attend and donate to the shelter by clicking here. Find out where you can find the Council Bluffs shelter out in the community by clicking here. Nature Dog is a high quality pet supply store located near 132nd and West Maple Road in Omaha and hosts events throughout the year. Check out the list here that will include meet and greets from area rescues! 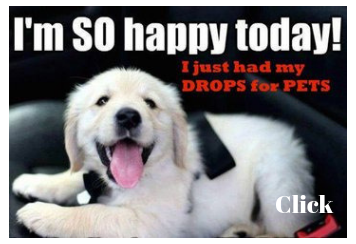 Click here for an event list full of meet and greets, fundraisers and get togethers from Muddy Paws Second Chance Rescue! Check out events from MABTR including fundraisers here and all over the region that help the rescue! From 6 to 8 pm, get a $10 nail trim and support rescue! Pucci’s is in Countryside Village in Omaha (87th and Pacific). Advocates for the Omaha Dog Parks meet on the 2nd Wednesday of every month EXCEPT December6 p.m. at the Swanson Library 90th & Dodge. For more information about the group visit their Web site here or their Facebook page here. The Nebraska Humane Society, located at 89th and Fort in Omaha, has year-round opportunities for you to train your animals. From basic training commands like “come, sit, stay,” to advanced training classes supervised by experienced training professionals, the Humane Society will help you and and your animals (regardless of training experience) become more obedient. Some dogs available for adoption come with free training classes, so ask about that to when adopting. For listings for classes, click here. The Bone Jour Daycare, located on the Omaha Humane Society campus at 88th and Fort Streets, meets each Saturday morning from 9:30 to 11:30 for a bit of doggie playtime with pet friends. Admission is $3 and your puppy pal will have access to two indoor and two outdoor play areas. Feel free to mingle amongst friends or bring a chair to watch the fun unfold. Also, the Yappy Pack is now offering punchcards. Purchase them for $30 – good for 10 visits plus 1 free . 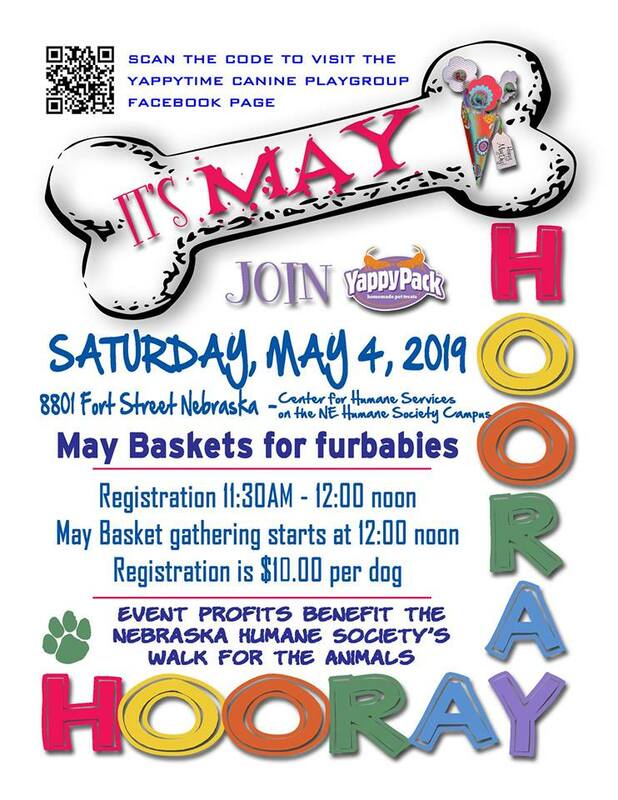 For more information, call Hope Wicken of the Yappy Pack at (402) 345-1838, or visit the Nebraska Humane Society’s Facebook events page here. If you have a doodle, you know that your pup is a poodle mixed with some other breed. If you didn’t know, now you know! And if you want to get together with other doodle people, check out the Nebraska Doodles Facebook event page here. Vizslas are energetic pups and love to socialize! If you’ve got a vizsla and want to get together with others, check out the Nebraska Vizslas Facebook events page here!